Logan Collins has a rare, powerful magic in his blood – and he’s being tracked for it. A ruthless group of magical prisoners are on the hunt, and it’s not a matter of if they find him, but when. Thankfully, Logan encounters an unexpected mentor who offers comfort and advice when he most needs it. Now, Logan has to race against time to find the key that will solve everything, but it’s located in a place so horrifying that it may be impossible for him to return – or to ever be the same again. 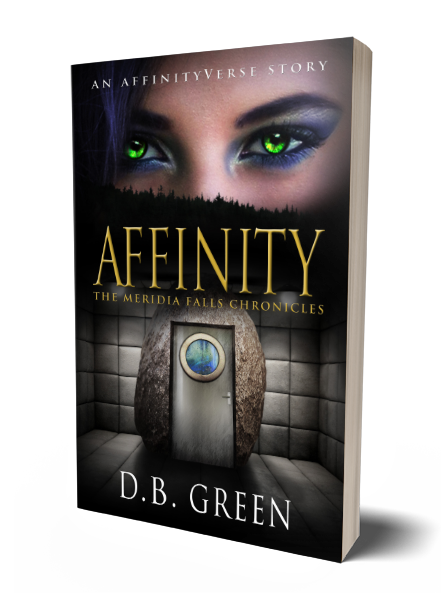 Affinity is Book 4 in The Meridia Falls Chronicles – a fantasy thriller series which will give you that thrill ride of fast paced, event TV. Twists and turns that will not only keep you on the edge of your seat, but have you clinging to it for dear life.